The good news about project quality management is that it is somethng which is usually the responsibility of ITQA (IT Quality Management). The bad news is that unless you are involved at the beginning of the project you can easily find yourself overwhelmed with paperwork leaving you little time to actually manage the project. So how does project quality management work in practice? Well ITQA will take the business case and the project initiation document, and from those work out a schedule of ESA's (End Stage Assessments. These are determined by checking when the logical points are to hold these. Usually they occur after say key points in the project management life cycle such as those listed below. Each ESA will include a review of all the product deliverables, which it has been agreed will be produced during that phase. What Happens in an End Stage Assessment (ESA)? Having agreed when the ESA's will take place and which documents will be reviewed, your ITQA resource will send out a meeting invite to the key people required for that ESA. They will state which documents are being reviewed. At the review meeting the documents will be discussed and any anomalies discussed. The ITQA person will then write this up together with their findings and allocate a status for that ESA. Most ESA's take an hour and to be honest the review mark depends greatly on how pedantic your ITQA person is. I have know of project manager's who got downgraded from green to amber purely because they accidentally saved a file in the wrong folder! This is usually the easiest of ESA's to get through and few project manager's get less than a green mark. Therefore if you should get a red then you really need to improve the quality of your paperwork and fast, since from here onwards it gets infinitely harder. 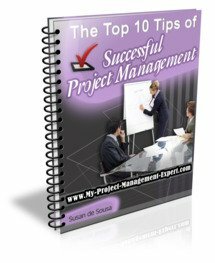 Please click here to read project quality management part 2 which includes ESA's 2-4.